Top 10: Beauty Influencers With A-List Brands — CROWD. a beauty tutorial video going viral, gaining the attention of a major brand and becoming a brand ambassador. But these beauty movers, shakers, vloggers and bloggers aren’t just partnering with brands; they are the brands. And they didn’t launch their products off an A-list acting career or a lifetime of supermodel runway struts. Let’s take a look at ten of the top influencers who created their own A-list beauty brands. From organic cold-pressed juice company Suja to “clean AF cosmetics” Lawless (28,900 Instagram followers), The New York Times bestselling author and Blawnde blogger’s fans go crazy for the Seal the Deal loose setting powder. EM Cosmetics’ star players are the lip and eyeliner shades. Sugg, one of the first beauty YouTubers in the U.K., founded Zoella Beauty which makes body scrubs, bubble bath, lip oils, fragrances and creams. She also found time to create a lifestyle brand while regularly posting in her YouTube community. When you think monthly subscription box service, Hendrix wants you to think BlessBox, not BirchBox. The Los Angeles-based beauty vlogger runs the site Simply Sona and launched her cruelty-free makeup line in 2016. She has more than 10 years of experience as a makeup artists and created the Identity Palette, the first eyeshadow palette created specifically to enhance brown eyes. Dose of Colors, with 2.9 million IG followers of its own, is another cruelty-free cosmetics company. Kattan is one of the most well-known beauty influencers turned beauty moguls. Kattan started out in Hollywood training to be a makeup artist and working for Revlon. Huda Beauty’s top product is probably false lashes, which are almost always sold out! A must-mention, Into the Gloss blog founder and New Yorker Emily Weiss believes "skin first, makeup second.” One of Glossier’s (1.5 million Instagram followers) wildly popular products is the Zit Stick. Where would a Top Ten list like this be without Kylie Jenner and Kylie Cosmetics (17.7 million Instagram followers)? Jenner’s beauty brand crushes others with actually pretty fantastic products. 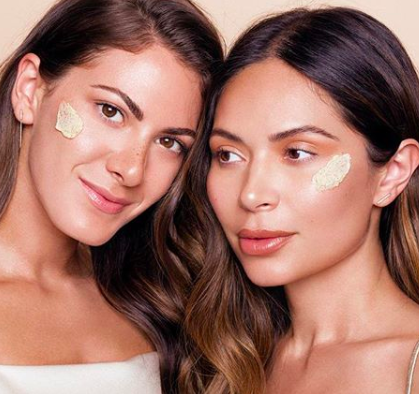 It was a mutual love for face masks that inspired Marianna Hewitt and Lauren Gores to create their skin-care line Summer Fridays. With their joint Instagram audience of about 860,000 followers, their first product Jet Lag Mask, was carefully designed to dominate your Instagram feeds and Sephora shopping carts. Thus, even though, Summer Fridays is mainly a skincare brand, it couldn’t be left out, as it became this year’s must-have brand and was loved by consumers, celebrities, and editors alike.